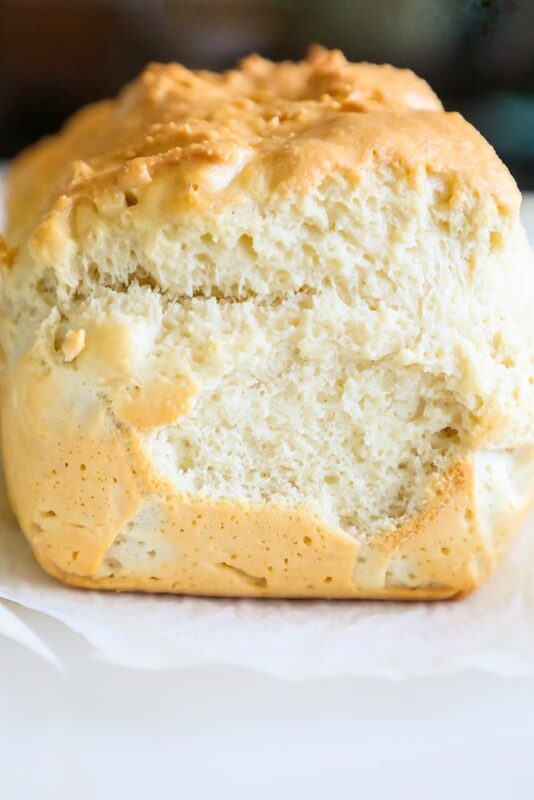 Easy Keto Sandwich Bread Recipe – light, fluffy keto white bread perfect for slicing that toasts beautifully and makes a perfect low carb bread! This keto sliced bread is delicious toasted with tons of melted butter – and is crunchy, soft, and comforting just like regular bread. Toast this keto bread with butter, sandwiches, bread crumbs, bruschetta – without worrying about packing on the carbs, or spending all afternoon in the kitchen like some keto recipes! 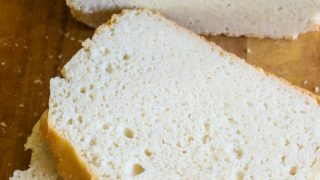 This easy keto bread recipe is super simple – just mix and bake – and requires only four ingredients (outside of salt and water) – and is done in less than 30 minutes baking time! 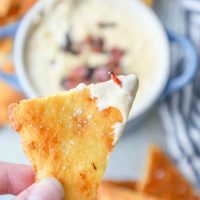 This recipe was tested off a variety of recipes my husband and I found on reddit – which could have been based off Kalie from the Hungry Elephant’s Keto Bread Recipe. We’re big supporters of other bloggers over here and feel bad if it was from her original recipe. Please visit her site for more awesome ideas! 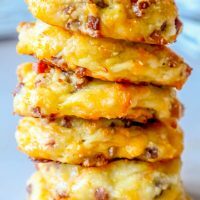 Kalie has a ton of delicious and gorgeous Easy Keto Recipes – please visit her site to find more! 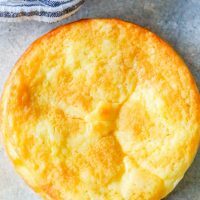 Just Take Me To The Best Keto Sandwich Bread Ever Recipe! 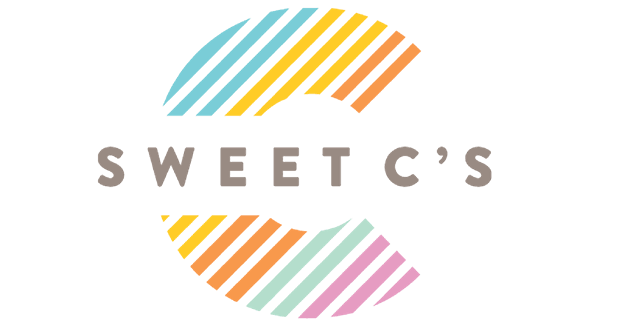 I get lots of comments and questions on my recipe posts, so I provide a lot of information for my readers. 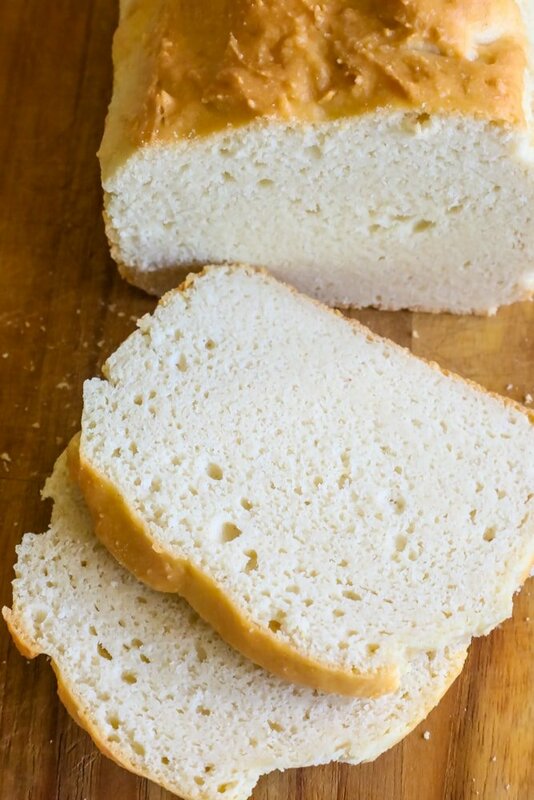 If you’d like to skip over my recipe notes that will help you get perfect keto sandwich bread every time, please scroll to the bottom of the post. Ketogenic diet bread is not low calorie – swapping gluten out for almond flour and whey isolate adds a lot of calories. If you are watching your caloric intake, always consult with a doctor about a keto diet. This bread is in no way meant to be a lower calorie option – but merely a different way to get a light, bread texture without using gluten or grains. This bread will work for gluten free diets, including those with celiac. 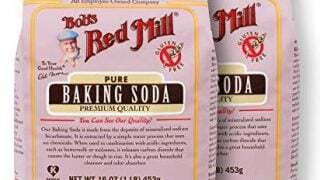 Always make sure to check products for preservatives and side ingredients and make sure they are certified gluten free. Always verify nutritional information independently. To store keto sliced bread, I keep my bread in a ziploc bag in a dark, cool spot in our pantry. You can store sliced bread for up to a week after baking. To freeze keto sliced bread, wrap baked loaf tightly in foil and place inside a plastic bag. Let naturally thaw in the refrigerator or on the counter before slicing. 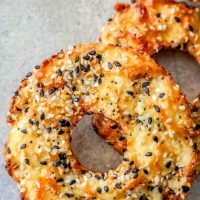 If you love this easy keto bread recipe, check out some of my other baked keto favorites like keto everything bagels, chocolate chip cookies, keto tortilla chips, and keto ham and cheese rolls! 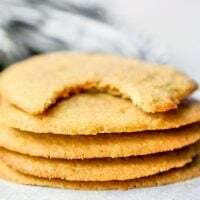 Easy Keto Peanut Butter Cookies Recipe - delicious, soft, fluffy low-carb ket peanut butter cookies that work in most clean eating plans! 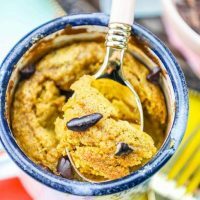 Super simple and crazy delicious - the perfect easy peanut butter cookie treat that wont break your keto diet! 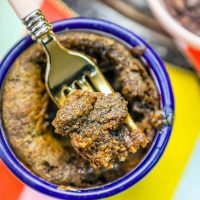 This easy Keto Microwaveable Chocolate Chip Cookie in a Mug is easy, delicious, and perfect for keeping you on a keto diet without feeling cheated! 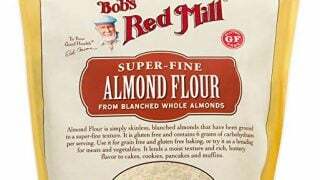 Instructions to bake this single serve cookie, as well. 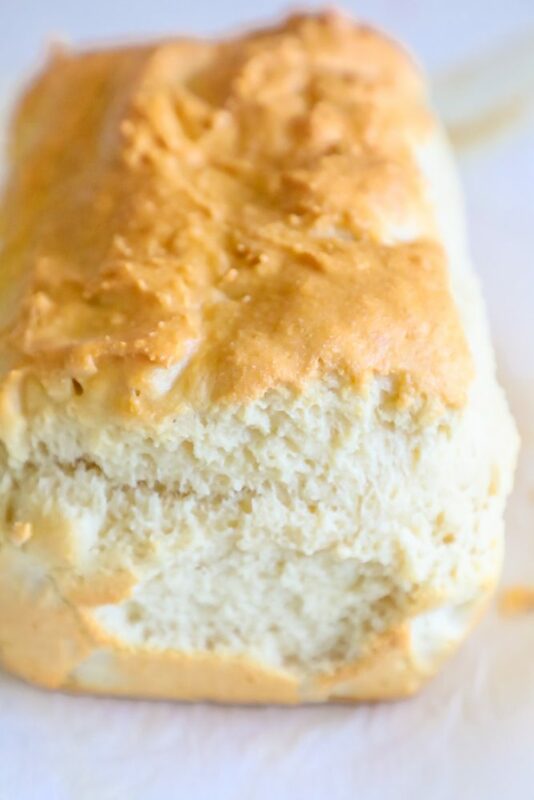 This keto sandwich bread doesn’t need a lot of fussy equipment or tools – but there are a couple things that will make baking this bread (and other baked keto diet foods) effortless! 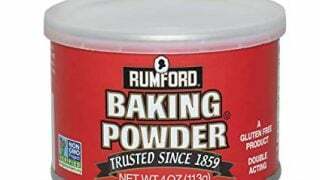 Following a ketogenic diet means substituting gluten and grains for foods with lower net carbs – which sometimes means specialty ingredients like psyllium husk powder, gluten free baking soda, olive oil, coconut oil, guar gum, coconut flour, and other special “flour” blends. 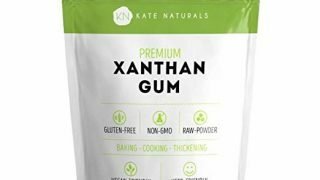 This bread has a smaller ingredient list than many – and requires only almond flour, whey protein isolate, xantham gum, and gluten free baking powder. 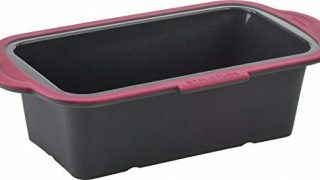 You can find all the ingredients in my list below – as well as recommended silicone baking mat or parchment paper – that will make baking regular bread a snap, too! Ingredients, gear, and tools to bake delicious keto dishes. 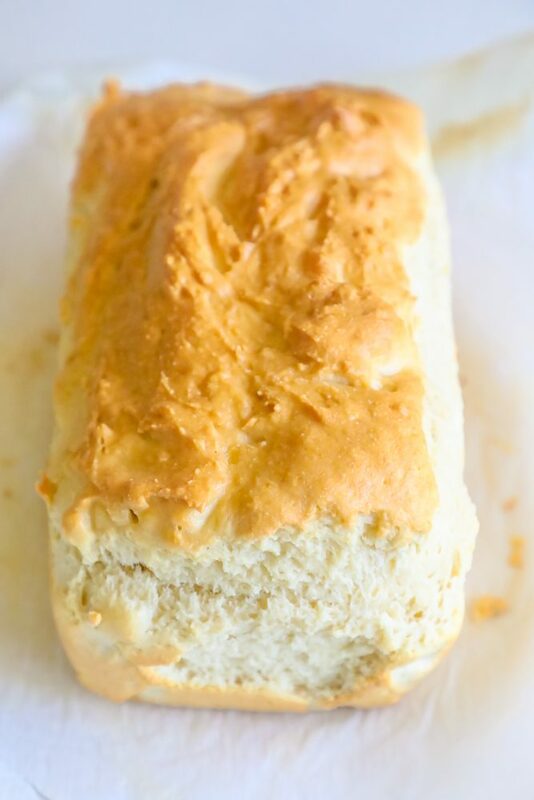 If you love this easy keto sandwich bread recipe as much as I do, please give it a five star review (just click the stars below), and help me share on facebook and pinterest! 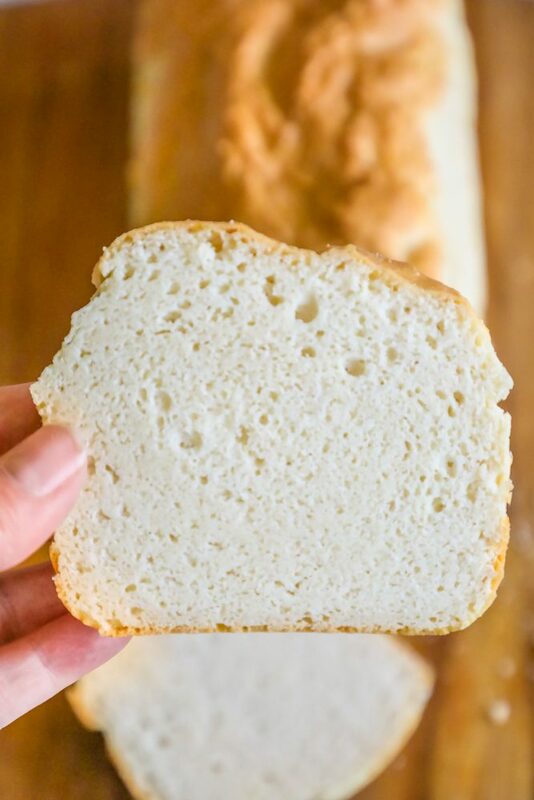 Easy Keto Sandwich Bread Recipe - light, fluffy keto white bread perfect for slicing that toasts beautifully and makes a perfect low carb bread! Slowly add in the water and stir with a wooden spoon, stirring slowly as you add water, until your dough comes together. Bake at 375°F for 20 to 25 minutes - until puffy and golden brown. You will see air bubbles on the sides of the bread, similar to the way the bread looks inside. Remove from oven and let cool completely on a rack before slicing. Only slice off the bread you're going to eat - pre-slicing bread will cause it to dry out or mold faster. Bread is my favourite food, because it is chap ha ha! 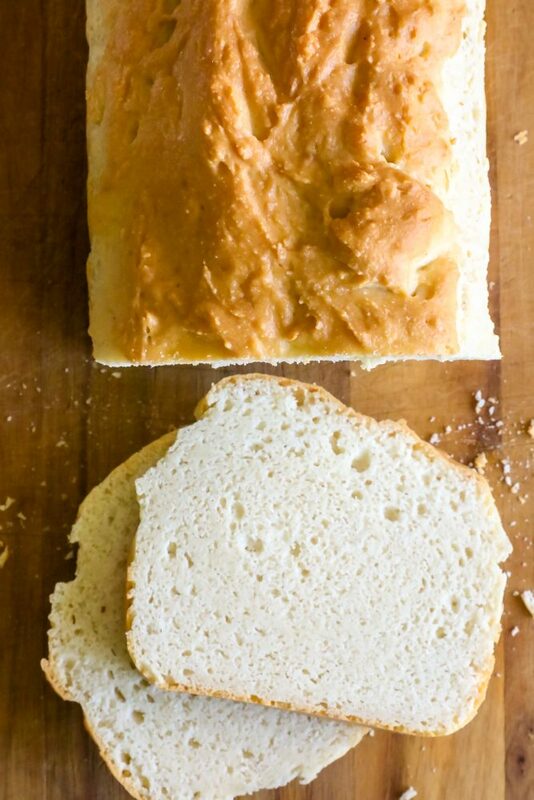 I can make Juicel bread myself, yes can be try this Sandwich recipe in the next Friday. This is so perfect for me not to have to miss out while still staying on track. Thanks! I love this bread! 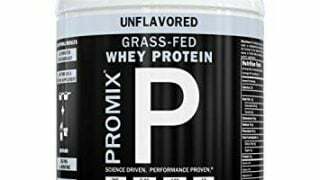 No longer have to miss out when doing keto! Love how easy this recipe is to make!